I’ve already written a bit about one reason why I love York: It’s old and beautiful, and it has old, beautiful churches. Plenty of them, in fact. Here’s one more old, beautiful church I got to photograph earlier for a religion story: St. Patrick Church. © 2011 by The York Daily Record/Sunday News. 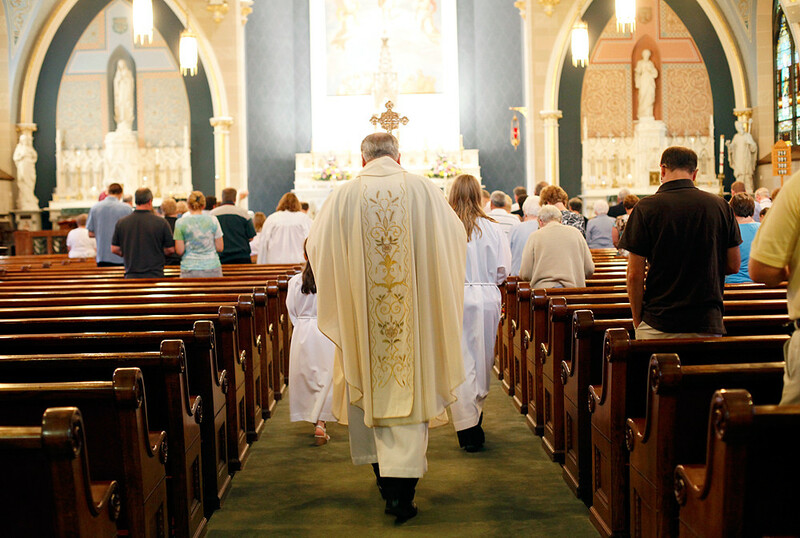 Father Samuel Houser enters the sanctuary at the beginning of the 5:30 p.m. Mass on Saturday, June 18, 2011, at St. Patrick Church in York City. The Vatican will introduce several changes in the Roman Missal in November, which will affect the wording of several prayers spoken by the priests and congregants during Mass. The story? The Vatican is changing some things around. This meant that I, not knowing much of anything about Catholicism, walked into this old, beautiful church and was very fortunate that everybody I encountered was kind enough to answer my questions and help me out. © 2011 by The York Daily Record/Sunday News. 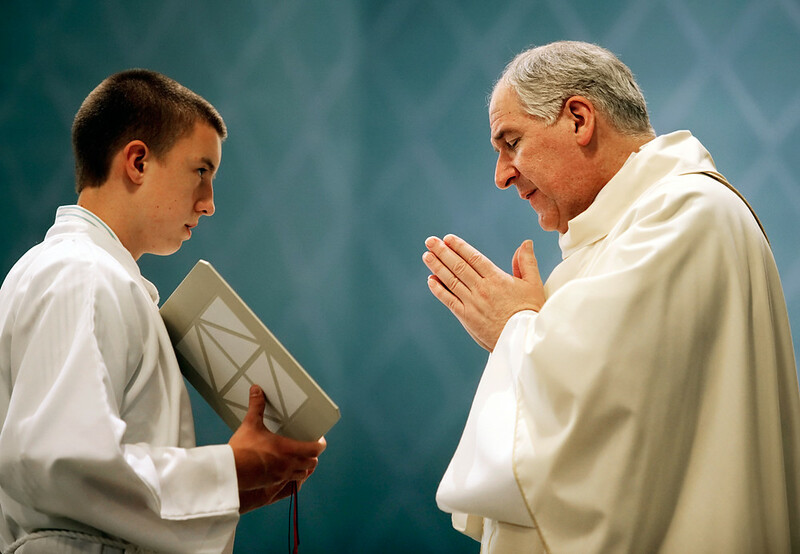 Will Koch, 16 of Spring Garden Township, holds open a copy of the Missal for Father Samuel Houser as he says the opening prayer at the 5:30 p.m. Mass on Saturday, June 18, 2011, at St. Patrick Church in York City.